Few experiences rival the power of truly entering another culture—feeling the emotions others experience; thinking with a mentality that was not your own; dreaming in another language; viewing the world through another’s eyes. This is an important part of each PAX student's experience—one that makes sharing their stories with you so much fun. Of course, not everyone can be an exchange student. 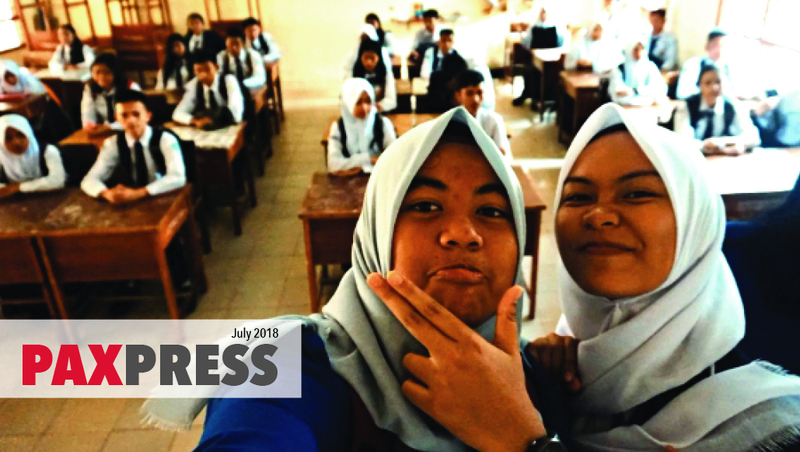 Luckily, we live in an age in which technology allows for other opportunities to connect across cultures—even to poke our heads inside Fathoyya from Indonesia's classroom back home (cover photo above). This past spring, we asked our Future Leaders Exchange (FLEX) and Kennedy-Lugar Youth Exchange and Study (YES) program students what virtual ways they could think of to connect youth around the world—especially friends and classmates back home with their American counterparts. What they’ve come up with is presented in this very special “virtual exchange” edition of PAX Press! From a typical day in the life of a Filipino student to fun and interactive questions directed at stereotypes of each other’s culture, students responded just as impressively as we knew they would. Some even tackled weighty topics like human trafficking. More than anything else, the projects left us profoundly inspired and hopeful for the future. We hope they do the same for you.